WAILUKU — The Maui High School football team has had two seasons in one this year — and will get to play some more. 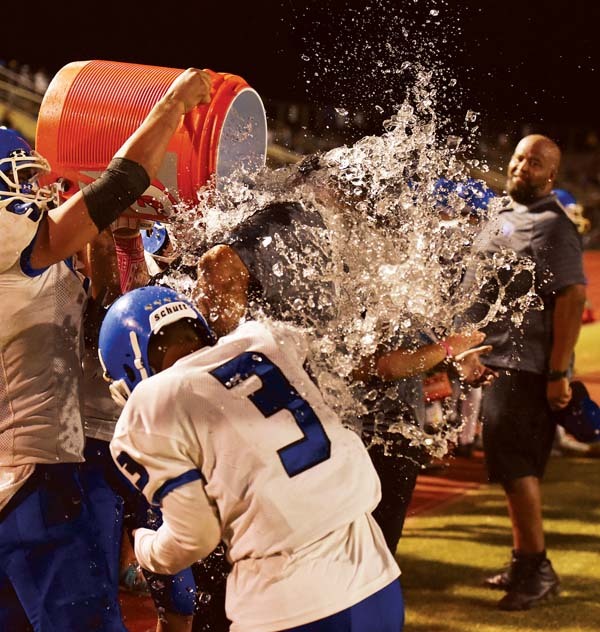 The Sabers wrapped up the Maui Interscholastic League Division I title and the state tournament berth that goes with it Friday night, beating Baldwin 26-13. 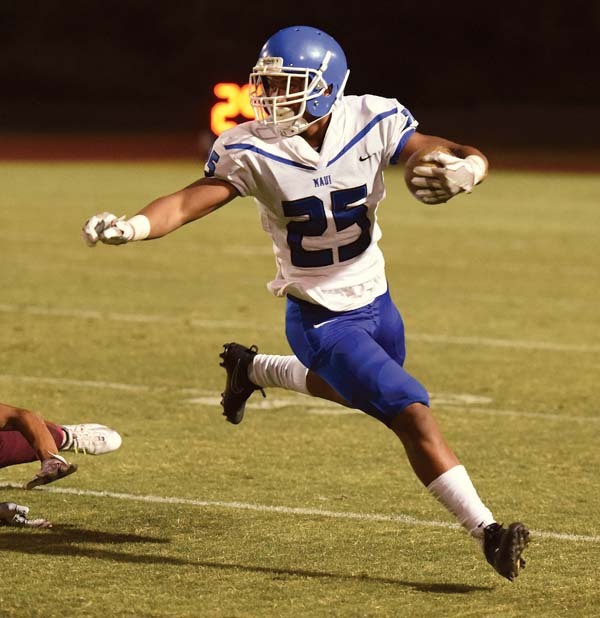 Maui High has won four of its last five games, a run that includes two victories over Baldwin. The lone loss was in overtime to defending D-II state champion Lahainaluna at Sue Cooley Stadium. 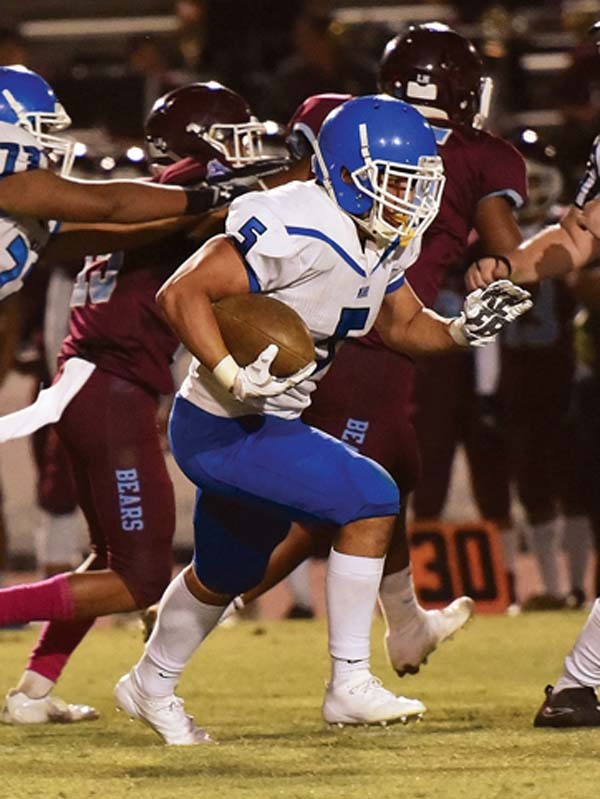 The Sabers started their season with four consecutive losses, including two nonleague contests in which they did not score an offensive touchdown. 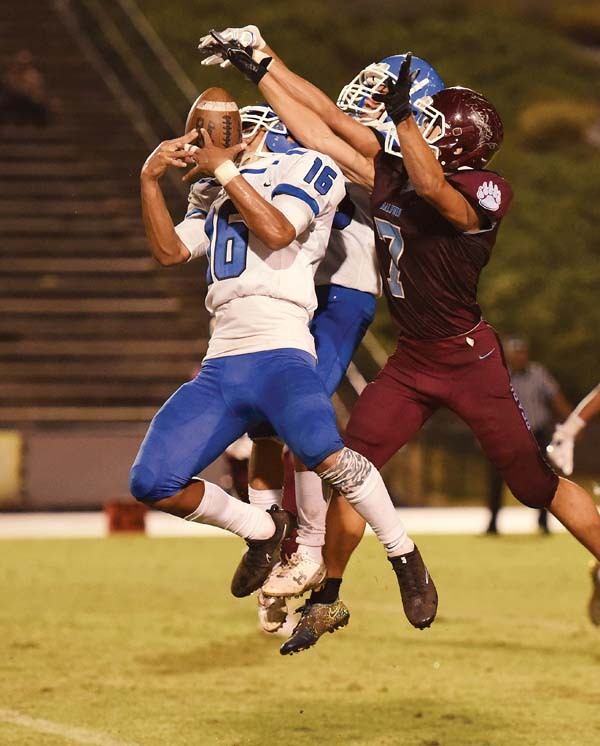 Maui High (5-3 MIL, 3-1 second round) trailed 13-12 after two quarters Friday, and the score stayed that way until midway through the fourth, when a torrential rain was falling at War Memorial Stadium. Solomone Tongi scored on a 36-yard run with just over five minutes left to give Maui High a 20-13 lead. 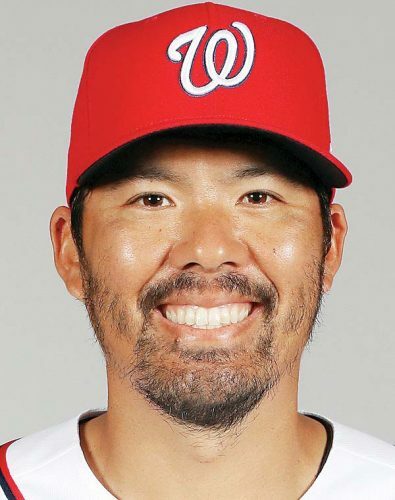 Naia Nakamoto ran on the first five plays of the drive before Tongi’s score. Nakamoto finished with 187 yards and two touchdowns on 30 carries, and Tongi, a fellow sophomore, had 146 yards on 22 carries. The Baldwin possession that followed Tongi’s touchdown ended when Chayce Akaka’s pass on third-and-11 was intercepted by Honu Feldt-Antonio and returned 33 yards to the Bears’ 3-yard line with 3:33 to play. A skirmish then broke out on the field involving several players on each team. After multiple penalties, Nakamoto eventually scored from 5 yards out for the final points of the game. The Sabers will play in the D-I state semifinals on Nov. 4 — the opponent and site have not been announced. Maui High is going to the tournament for the second time in four years after a 13-year absence. The Sabers entered this season having lost 30 of their previous 33 meetings with the Bears (4-4, 2-2). “It is huge, very huge,” Figueroa said of Friday’s victory. Akaka threw two touchdown passes, both to Kaikea Silva. 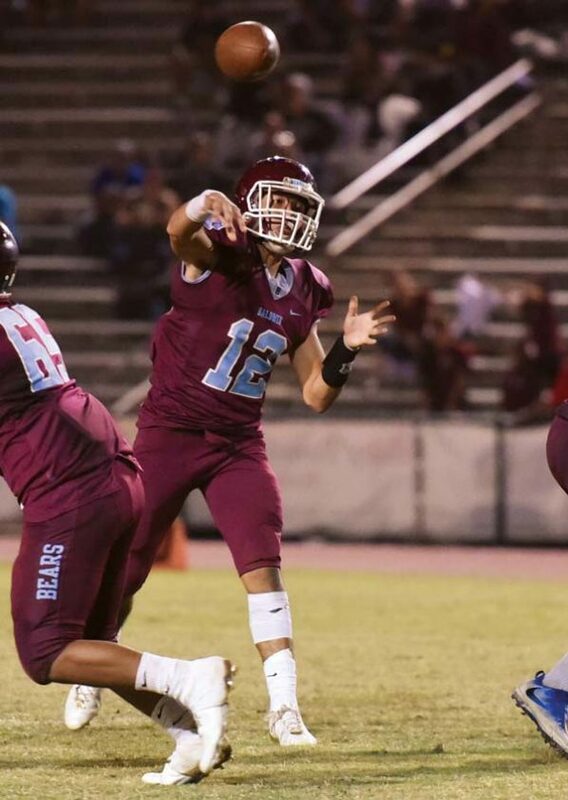 Akaka accounted for 29 touchdowns this season — 19 passing, eight rushing, one receiving and one on a kickoff return — and finished his high school career with 50 touchdown throws. Silva’s first touchdown was on a 75-yard pass on the Bears’ second play from scrimmage. He caught the ball about 40 yards downfield and then broke a tackle attempt by Tevita Takitaki before racing to the end zone. Nakamoto ran 81 yards for a score later in the first quarter. Baldwin made a goal-line stand in the second quarter with four stops — the first three of Nakamoto and the final one of Tongi — after Maui High had first-and-goal from the 3. On the next play, however, the Bears fumbled a handoff attempt between Akaka and Bishop Wickes, and the Sabers’ Jamie Elisara Fisher recovered in the end zone for a touchdown and a 12-7 lead. After Baldwin was stopped on the ensuing possession, the Sabers reached the Bears’ 20 before a bad snap sailed over the head of Nakamoto. Chris Bacos recovered for Baldwin and appeared to sail into the end zone, but the play was nullified by a block-in-the-back penalty well behind Bacos. The Bears, however, then drove 65 yards, scoring on Silva’s 32 yard touchdown reception with 1:22 left in the first half. Rain started falling heavily with about one minute left in the third quarter. Akaka’s final pass was intercepted by Selesi Moli with 1:37 to play. Junior varsity–Baldwin 44, Maui High 0.